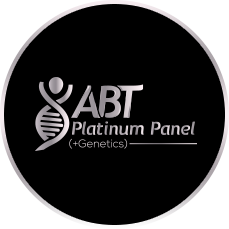 AthleteBloodTest.com is proud to introduce ABT Black. We heard loud and clear from our customers the need for a product whose focus is a more consultative approach and deep dive analysis of their physiology. These early customers shared a focus on their personal peak performance, their time is a premium and they enjoy white glove services. 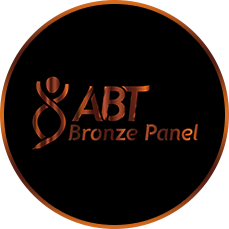 ABT is unique in that we apply science to our analysis and recognize that this has to be done at the individual level. Everyone’s physiology is different, unique to them and thus requires customized approach. Generic reports using generic levels with stock metrics are just too general to drive meaningful results. Our consultative approach goes well beyond just a onetime test. We work collaboratively with you over a several month period (succinctly) which allows the dialogue required to drive to tangible results and specific next steps to drive peak performance. Pre Panel Consult – ABT is the anti-stock report company and recognize that variable information is critical to unleash deeper insights. Thus, we combine our Questionnaire whereby we capture important data points such as training load, fatigue, etc. and we combine this with our pre-consultation to establish an informative baseline of data for customized insights that are unique to your physiology. This is conducted by one of our Sports Science specialist who are trained in our methodology. Additionally, we’ll have a better chance of discerning symptoms and perhaps can make recommendations for AddOns. Dispatch Phlebotomist – within 3-5 business days from order and dispatched to home/office for customer’s convenience and to avoid going into a Lab. Report Plus – Some clientele that partake in this product have access to trainers/coaches/dietitians, etc. Therefore, this audience is more amenable to a much more detailed version of our report, expose some of our methodology and deeper explanations. Post Panel Consult – ABT Sport Science Specialist conducts a post report consult to discuss findings/recommendations and take any questions. This often times will include your own coach, trainer, nutritionist, etc. and we welcome their participation as our information empowers everyone along the value chain. Where those resources don’t exist, we suggest our Dietitian AddOn (see for additional details. Project Management – manage the full process between all the disparate parts such as scheduling the consultations, dispatching a phlebotomist and general oversight/accountability for the full customer experience. Genetic Test AddOn $395 – onetime genetic test that enables us to provide insights from your genetics into each blood draw from that point forward which includes 15 micronutrient tendencies. Dietitian AddOn $175 – ABT works with an array of credited Dietitians, one of which will be assigned to your case and they’ll work in concert of ABT’s analysis of your unique physiology and translate this into a meal plan that is tailored to you. Additional Consultation – any consultations required beyond the pre/post report consultations will be billed onetime $75 per engagement. Our first customers may have been primarily Professional/Olympic athletes or busy business executives, but this product is for anyone that is looking to unlock the secrets to their own physiology and want a consultative approach. 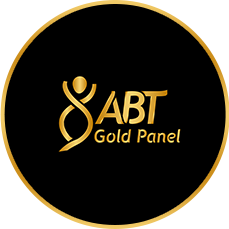 *Gold Panel can be replaced with our Silver or Bronze panels at your discretion (ensure to make note of this during the time of purchase) and no cost change.